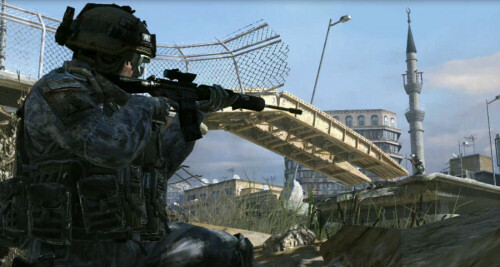 Last night during Sunday night football, Infinity Ward unleashed a brand new trailer for Call of Duty: Modern Warfare 2 called "Infamy." While the trailer had all the usual polish and grit of the previous trailers and screens we've seen of the game, it didn't contain something new. I won't say exactly what that is, because in my opinion, it's a huge spoiler for the game. But, if you want to know, and I know you do - you can watch it in all it's glory right below. Sadly there's no cooperative play in the trailer.